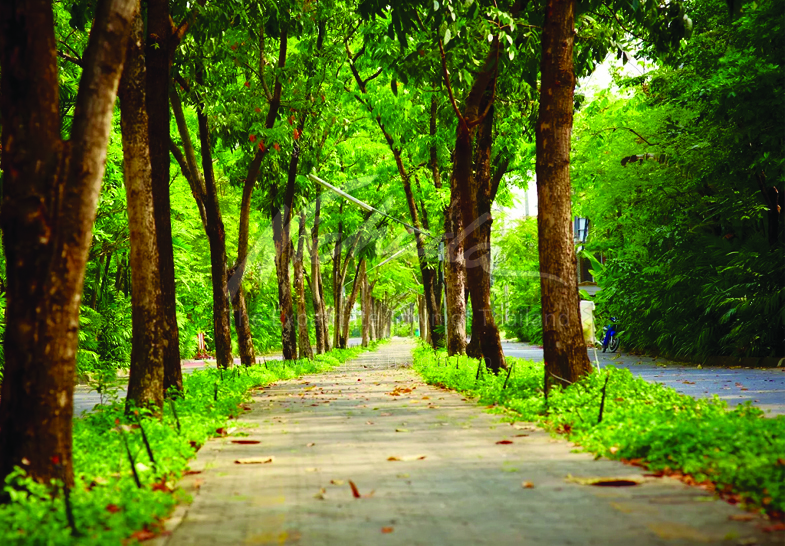 Answering the need for top quality accommodations in the clean air of the suburbs, on the doorstep of the city, Nichada Thani’s first development in 1986 marked the starting point of what would become the Expatriate Town of Thailand. By 1989 the acclaimed architect, Dr Sumeth Chumsai was onboard, developing the project landscape and a comprehensive master plan for what was then only 198 Acre of land with a 49 Acre landfill quarry, designated the future Nichada Thani lake. The commitment made then to provide a residential development without industry, with green area not less than 30%, double gate security, an internal road network with no less than a 10m width, a sports complex, and jogging and bike lanes, have not changed. Now with over 395 Acre of land, we continue to uphold our original ideals, understanding what makes the community unique and sets it apart from other developments. Between 1989 and 1990 our first land project, Nichada Park, was undertaken, and remains as impressive today as it was then. The envied apartment building of ISB Teacher Housing and the land development, Natakorn Park followed closely, between 1990 and 1991. Nichakorn Place was developed between 1990 and 1992, adding townhouses with a shared, elevated resort-style pool facility to the mix, and Garden Condominium, between 1991 and 1992, introduced a split level apartment building to the variety of residences available for discerning tenants. Since that time the community has grown to respond to the needs of the international community, contributing toshaping the surrounding district through its success and growth in to the cosmopolitan neighborhood we see today. 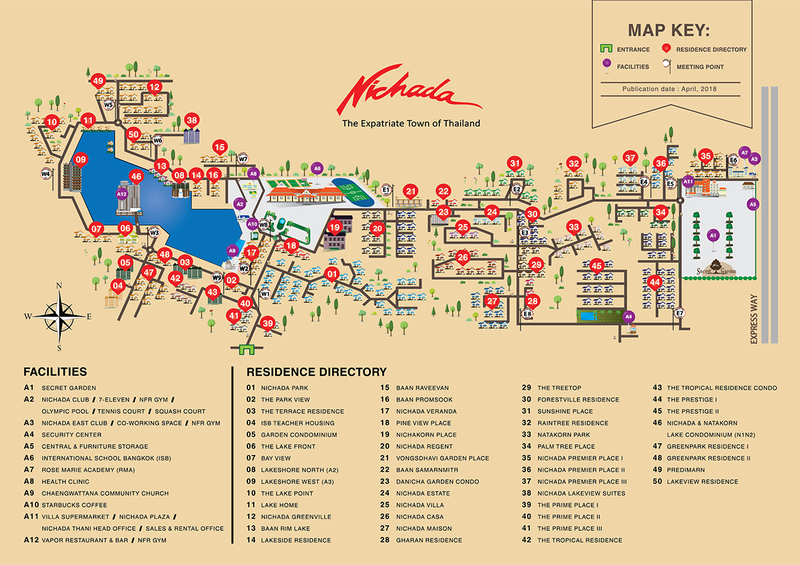 Today we are proud to present 49 sub-communities and a vast array of supporting retail, leisure and service opportunities inside our secure gates, supporting the approximate 1,300 families who call Nichada Thani their home.